In June the metal products sub-sector grew for the first time since September 2010. The falling exchange rate has been given much of the credit for the continued growth of Australia’s manufacturing sector, with a key indicator edging up a further 0.8 points to 51.8 in June and completing a full 12 months of continuous expansion. That year is the equal longest unbroken period of growth for the Australian Industry Group’s Australian Performance of Manufacturing Index (Australian PMI). "It was a year in which manufacturers took advantage of the boost to competitiveness from the lower Australian dollar both in the domestic market and in export markets," Ai Group CEO Innes Willox says. 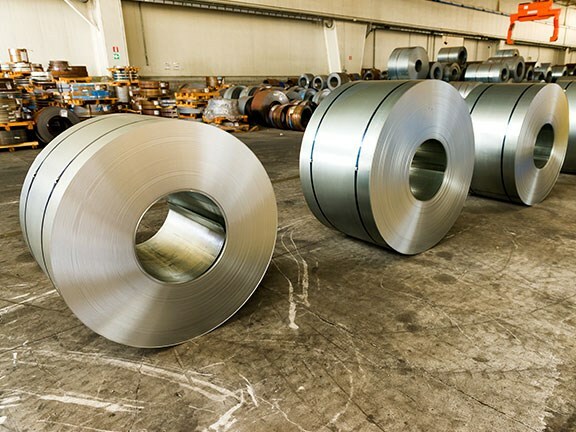 "The metal products sub-sector, which has been heavily impacted by adverse global conditions in recent times, recorded its first expansion since September 2010. "The important food and beverages sub-sector continued in positive territory, although there are now signs of a slowdown, and the machinery and equipment sub sector was weaker – in part due to the low levels of business investment across the economy and the gradual wind-down of auto assembly. "The clear imperative for the sector is for a lift in investment both within the sector itself and more broadly across the economy," Willox adds. Five of the seven activity sub-indexes expanded in June, with strong performance by production (up by 3.5 points to 54.4), new orders (up by 1.9 points to 54.1) and sales (down by 2.2 points but still in expansion territory at 53.7). Any reading above 50 points indicates expansion, with the distance from 50 indicating the strength of that expansion. Six of the eight manufacturing sub-sectors expanded, led by petroleum & chemical products (up 2.2 points to 62.1) and non-metallic mineral products (up 6.8 points to 58.3). Wood & paper products (down 10 points to 57.7) and food, beverages & tobacco (down 11.6 points to 53.7) lost some steam but remained in expansion, the report says. Metal products (up 6.4 points to 50.4) and printing & recorded media (up 0.5 points to 50.2) lifted out of contraction, but machinery & equipment (down 5.8 points to 44.8) and textiles, clothing & other manufacturing (up 1.8 points to 48.9) remained in negative territory. "Comments from manufacturers in June indicate continuing uncertainty surrounding the impending Federal Election," the report reads. "Higher exports and import replacements are lifting activity, assisted by the lower Australian dollar, but strong competition from overseas businesses is curbing growth and putting pressure on selling prices. "Some weak spots in the economy and a lack of capital expenditure are weighing on activity," it adds.